Most horology enthusiasts will tell you that the best timepieces are usually made in Switzerland, Japan and Germany. For the latter, the usual suspects are A. Lange & Söhne, Glashütte Original and Nomos Glashütte among others. But there is one that has been flying under the radar for a long time and it’s time we give the brand its due. Based in Schramberg, Germany, Junghans first opened its doors in 1861, creating clock components such as wooden cases, bronze signs and pendulums. By 1903, Junghans was the largest watch and clock factory in the world. It employed 3,000 workers who produced over three million timepieces annually. The watchmaker catapulted into prominence in 1961 when it started working with famous Bauhaus designer Max Bill. He was responsible for creating the minimalist look and iconic domed dial that you see on most Junghans watches. The eponymous Junghans Max Bill timepieces are the most iconic of the bunch. Recently updated for the contemporary era, the collection is available in a variety of movements and styles, from quartz and automatic variants to one with a chronograph. Prices range from S$840 for the quartz version to S$4,000 for the automatic Max Bill timepiece. In the same designer spirit, we gathered five creatives from different industries – visionary Sam Lo, graffiti artist FreakyFir, crochet fairy Kelly Limerick, architect and A-Lister Bu Shukun, and creative director and A-Lister Brian Tan. 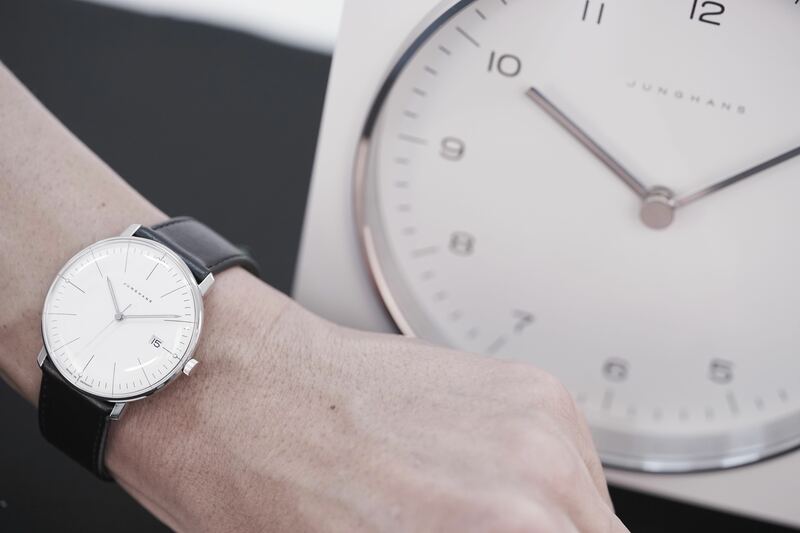 We sat them down in front of the video camera without any prior briefing, and asked them for their honest opinions about the Junghans Max Bill collection. The result was equal parts hilarious and illuminating, but all of them agreed that the minimalist timepieces were definitely a designer’s dream. Check out the hilarious video above.